Soooo I’m back again. For real this time too. Classes are finished, I’ve finally recovered from celebrating the end of classes, and I had a ridiculously easy exam schedule. With this term is over, I’ve only got to take two more classes during the summer to finish off my Bachelor degree. The realization that I was nearly finished with my undergraduate degree filled me with a mixture of excitement, accomplishment, and uncontrollable horror. After this summer I will be a real live person out in the world trying to get a job and make something out of myself. Or at least that what I’m supposed to be, we’ll see what actually happens. I’m still trying to come up with a plan to stall my becoming an adult, so far my options include running away and becoming a gypsy, adopting a lot of cats, moving back home with my parents (yikes), or somehow traveling around the world for the rest of my life. So far, not so good. Needless to say, I’m freaking out a bit over here. After spending one particularly frightening afternoon looking up job opportunities (or the lack thereof) I decided I needed to forget about my bleak bleak future for a little while and just cook. Did you even SEE those prices?!? SO many savings. This is one of those dishes that my parents used to cook up all the time that I never fully appreciated. Once I moved out this meal, along with countless others, just kind of faded from my life. Needless to say, I’m glad it’s back. 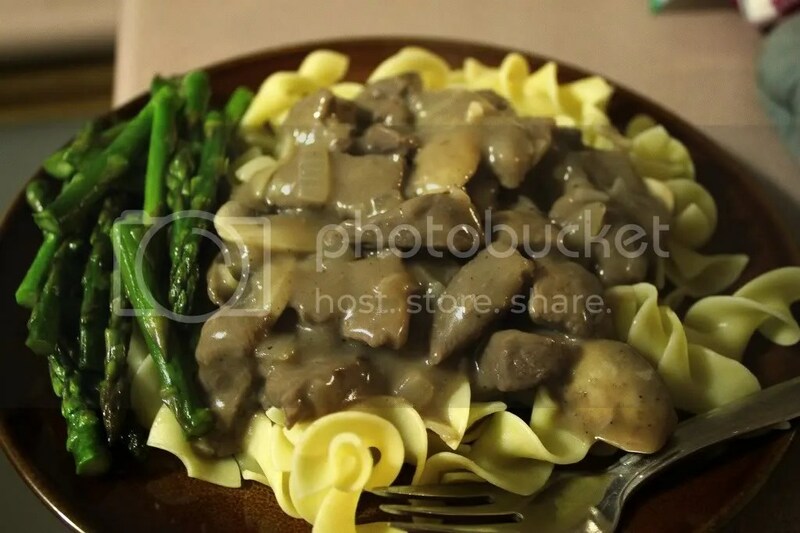 It’s wonderfully inexpensive, as you can use cheap tougher pieces of meat, and it’s not complicated at all. It takes a bit of time since the beef needs to simmer for a while and tender up, but I promise it’s all worth it. First things first, you gotta give your beef a quick cook over in some cornstarch, salt, pepper, and white wine. Luckily I always seem to have lots of unfinished white wine hanging around the apartment, thanks to parties and forgetful friends. Once the beef looks cooked through, time to add in some stock, mustard, worcestershire sauce, and cornstarch. These are the base of your sauce and they’re going to simmer down and tenderize the beef. Magnificent. Once your sauce base has been thoroughly mixed in, cover your pan and let it all simmer for about 20-30 minutes. Basically you want your meat to be nice and tender and your sauce to be thick and brownish. 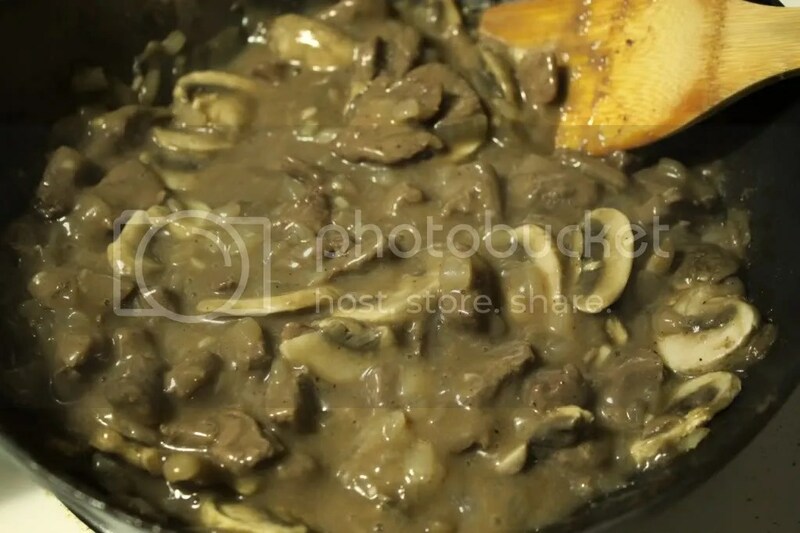 Test the meat periodically for tenderness, and add some mushrooms and garlic once the beef has lost its chew. Cover the pan again and let your mushrooms cook down for about ten minutes. 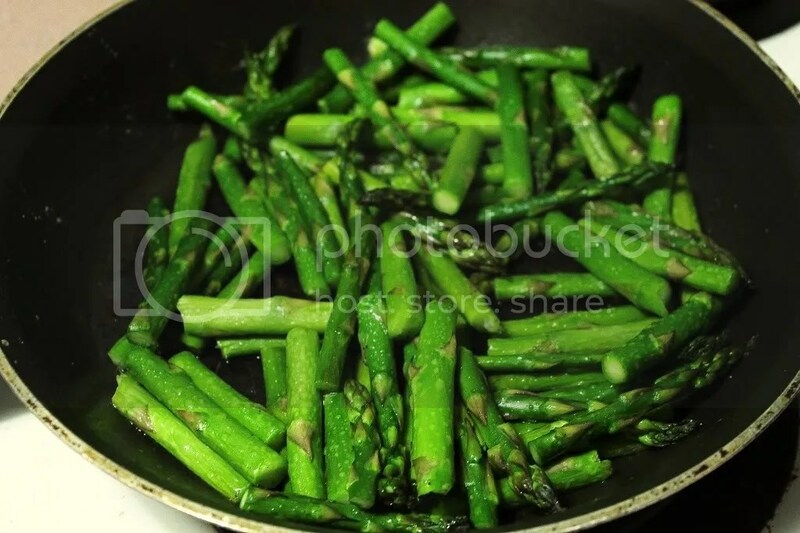 While this is all happening, I suggest cookin up some asparagus to eat on the side. I pan fried mine for about 6 minutes in salt and pepper, then threw them into a 250 degree oven for ten. They were pretty awesome. 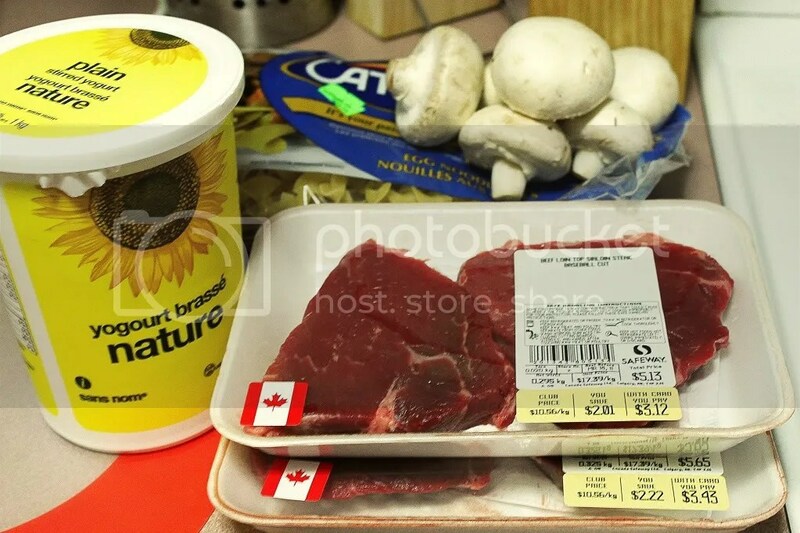 Once your mushrooms are all cooked down and the rest of your meal is ready to go, mix in a bit more white wine and some yogurt to finish off your sauce. Stir it in and give it about 3 minutes to warm up and thicken, then cut the heat and serve it over some egg noodles. If you’re looking for something warm and comforting then this is your meal. It cured my homesickness/future shock and set me back in the groove of cooking and eating regularly. Thank god for that! 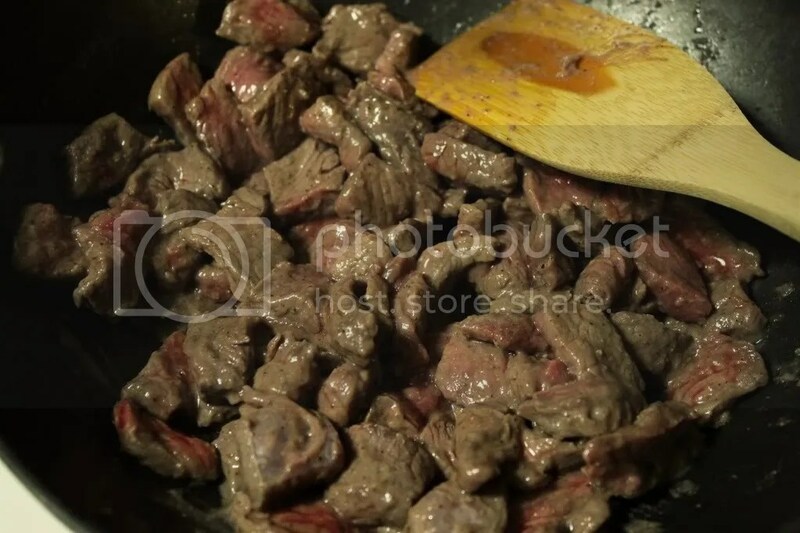 In a small bowl combine beef, 1/2 tbsp corn starch, salt, pepper, and 1 tbsp white wine and mix well. Heat 2 tsp olive oil in a pan over medium heat. 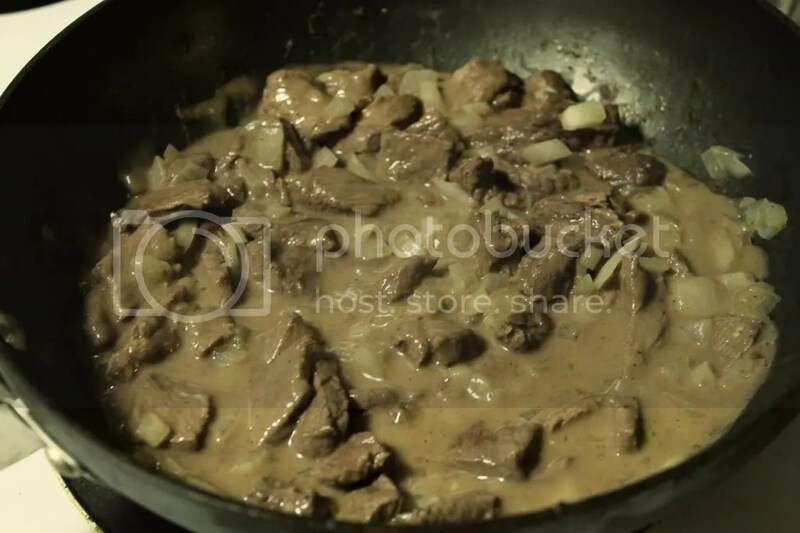 Once pan is hot, add in beef mixture and cook for about 8 minutes, until beef is cooked through. In separate bowl, combine stock, mustard, worcestershire sauce, and 1 1/2 tbsp cornstarch, mix till smooth and there are no lumps of cornstarch. Add do pan, stir to combine thoroughly, and cover. Let this mixture simmer for about 20 minutes, or until the beef is tender. 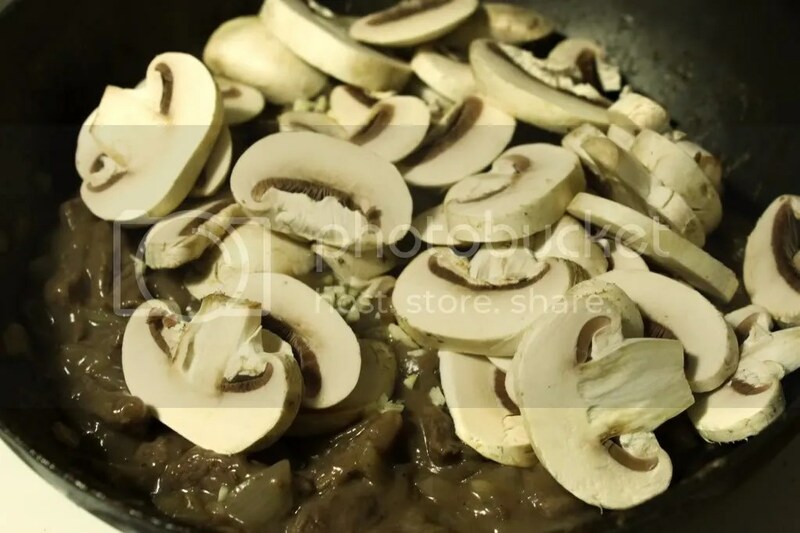 Once beef is soft, add mushrooms and minced garlic, stir, and cover again for 6 minutes or until mushrooms are cooked. Add 1 tbsp white wine and yogurt, stir to combine, and let simmer for 2 minutes. Remove from heat and serve immediately over egg noodles.